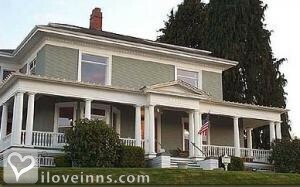 Tacoma bed and breakfast travel guide for romantic, historic and adventure b&b's. 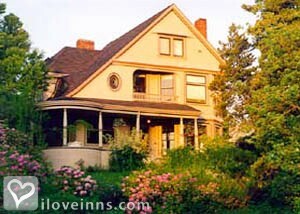 Browse through the iLoveInns.com database of Tacoma, Washington bed and breakfasts and country inns to find detailed listings that include room rates, special deals and area activities. You can click on the 'check rates and availability' button to contact the innkeeper. Tacoma bed and breakfast guests enjoy fabulous views, a wealth of walking neighborhoods filled with grand mansions and the longest stretch of public waterfront access of any city in the United States. 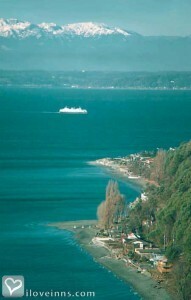 Tacoma overlooks the shimmering waters of Puget Sound, Jacque Costeau's second most favorite location in the world. Add that to the 14 miles of trails through Tacoma's own rainforest park, Point Defiance, and you've got Pacific Northwest nirvana in your coffee cup. Rainy day? Catch the complimentary lite rail to Tacoma's Museum District, where you'll find the International Glass Museum, Washington State History Museum and Tacoma Art Museum , connected with a bridge filled with Dale Chihuly glass treasures. Yes, Dale Chihuly is a Tacoma original -- and can still be spotted around town in some of his favorite haunts, such as The Swiss, a downtown Tacoma blue collar arts pub. Tacoma originals abound in this Victorian seaport town -- offering an impressive collection of very cool microbreweries, independent coffee houses and chef-owned eateries. By Chinaberry Hill B&B - A Luxury Urban B&B Experience.